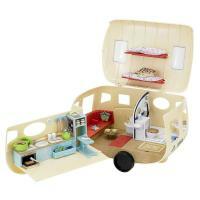 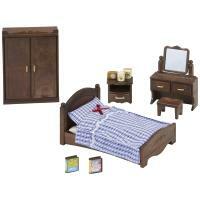 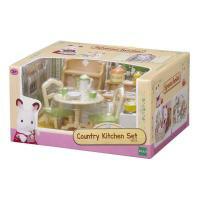 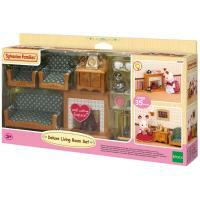 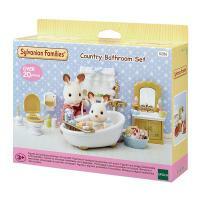 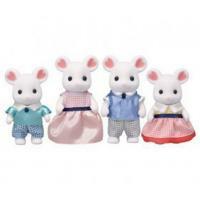 The Deluxe Living Room Set is the perfect place for your Sylvanians to wind down after a long play in the meadow. 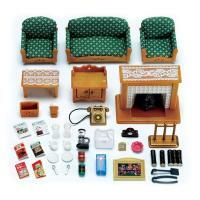 They can sit back and relax either on the comfy sofa or on the 2 armchairs in front of the toasty fire. 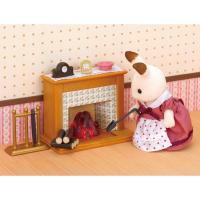 A batch of logs, freshly chopped from the Sylvanian forest, is included to keep the fire ablazin on those chilly winter evenings. 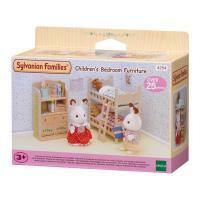 Also included is a delightful picture of the whole Sylvanian clan at a good ol Sylvanian knees up way back when. 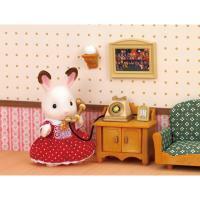 There is a retro style rotary dial telephone for your Sylvanians to have a good natter, or even to order a take-away from the menu on those lazy weekends. 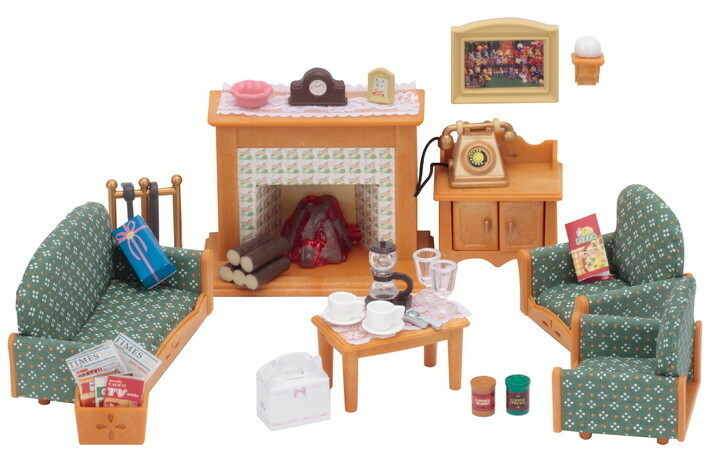 There are 2 pots of coffee, a coffee maker and 2 cups and saucers to keep your Sylvanians perky on their daily adventures.